COOK the rice according to the package, mostly red rice has to cook a little longer than standard white rice. Meanwhile PEEL and finely chop the garlic and red onion. PRE-HEAT the oven to 200 degrees Celsius or 390 degrees Fahrenheit. 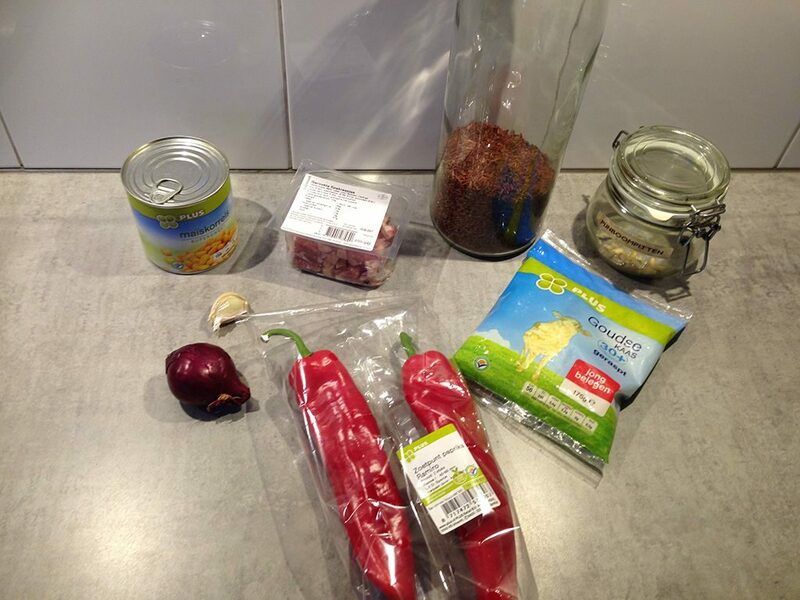 SLICE the peppers into half and remove the seeds, but keep the stem attached. DRAIN the rice and also drain the corn from the can. HEAT the skillet and cook the bacon until they’re crispy. ADD the onion and garlic and after about a minute also add the rice and corn. SEASON the filling with pepper and salt. ROAST the pine nuts shortly in a dry skillet, immediately season with fine salt. 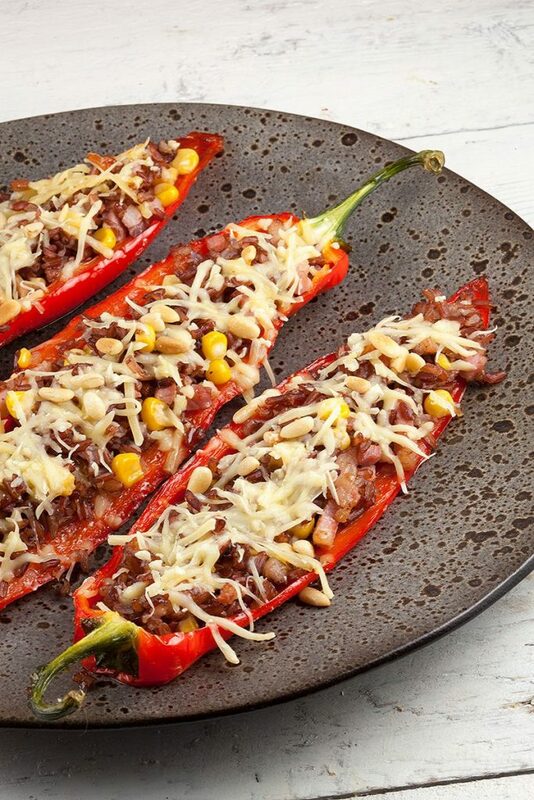 DRIZZLE the peppers with olive oil, pepper and salt and place them cut side down on the baking tray. ROAST them in the oven for about 5 minutes. 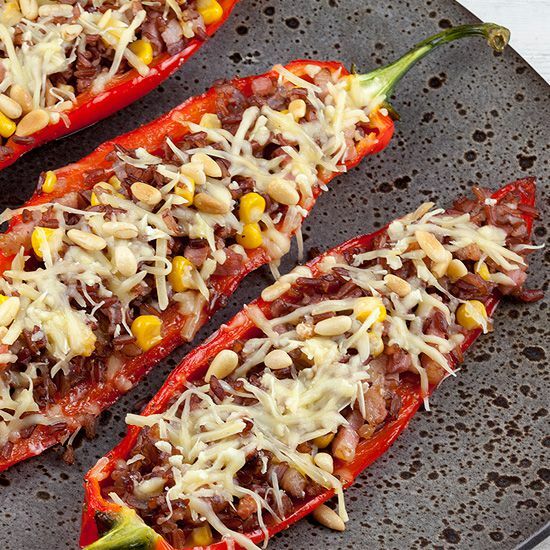 FILL the pre-roasted peppers with the rice filling and top it off with grated cheese. ROAST them in the oven for another 10 minutes, or until the cheese has beautifully melted. 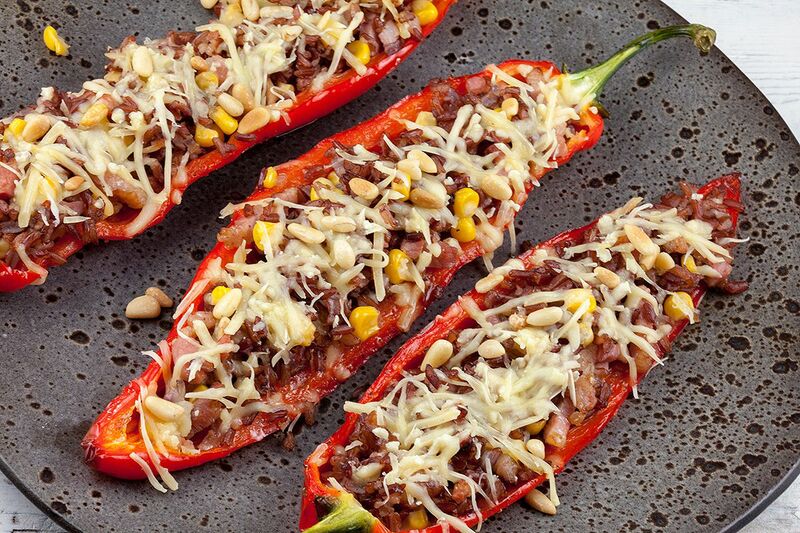 FINISH the peppers with roasted pine nuts and enjoy!